This might be the least interesting “Of Note” I’ve written since starting this little blog. In terms of my currently list, it is…basically exactly the same as the last two weeks. We are ALL IN until finishing the Game of Thrones rewatch and Binge Mode relisten. So, besides consuming a lot of HBO content, in the past week I’ve watched a lot of college basketball, bid farewell to a beloved colleague who is moving to a new job, and eaten a lot of cheese. Not too shabby! Hard to believe I haven’t touted this yet, but The Ringer is running a series called Game of Thrones Loose Ends, where they’re covering questions still remaining ahead of the final season — where are characters we haven’t seen in awhile, who is presumed dead but could make a return, what prophesies and promises may still come true. It’s full of great information ahead of season 8. You should read the whole series here. Lol. Do you even have to ask? All Binge Mode, all the time. Sorry not sorry about it. So much cheese. I brought in a charcuterie board for my coworker’s last day on Tuesday (we’d talked extensively about how I make a mean charcute), so naturally I also ate a less intense version for dinner on Monday night and again on Tuesday night. 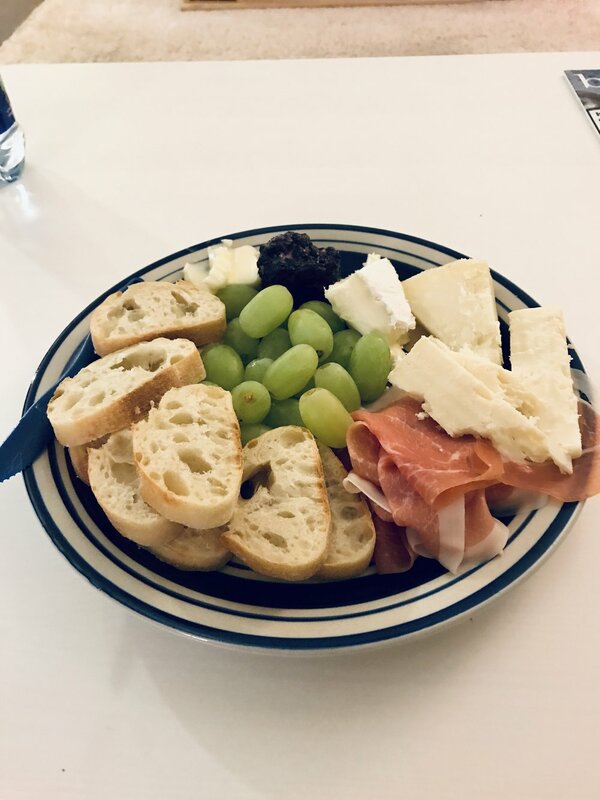 So much cheese, bread, prosciutto, grapes, carrots. 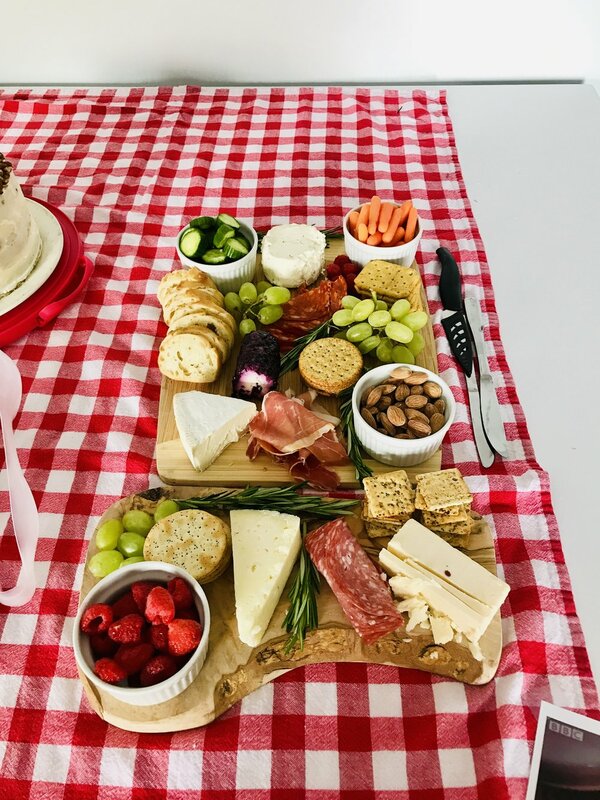 I’m a happy gal when I’m making a cheese plate and feeding it to people I love! Great Claire Bake Off, charcuterie, white tulips, Callie’s second birthday, candles, Trevor Noah’s accent, benchmark row, getting complimented at the dentist, eggs over easy, Jean and Peter, venti iced chais.